"Two Is Better Than One" is a song written by American musician Martin Johnson and Taylor, recorded by Johnson's group, the American power pop and pop punk band Boys Like Girls. It is included on their second studio album, "Love Drunk", which was released in 2009. The song is the second official single from the album and features Taylor. However, on some advanced copies of the album sent to reviewers and members of the press, the song does not feature Taylor, rather, Johnson handles all vocals. The track received large scale commercial success. 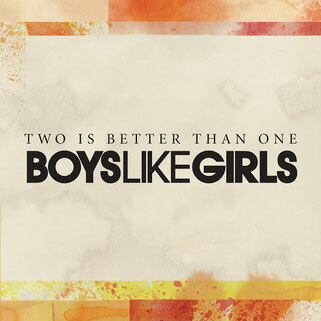 By December 2011, "Two Is Better Than One" has sold 1,508,000 copies in the U.S. alone. It additionally received significant international airplay, reaching number 18 on the Canadian Hot 100.